dinosAR brings dinosaurs back to life! 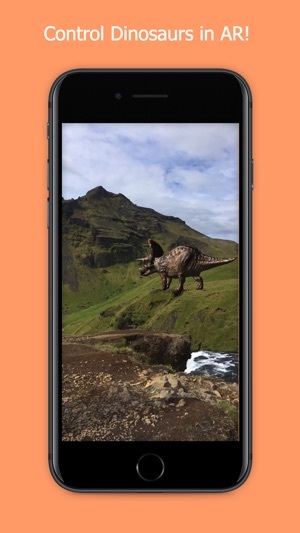 The app uses the latest augmented reality features in iOS 11 to create high resolution dinosaurs in you environment that move, breathe, and make sound effects. 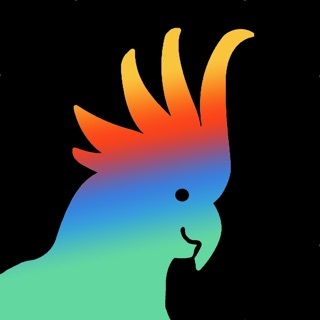 You have full control over where the dinosaurs walk, and can trigger special actions by simply double tapping the screen. 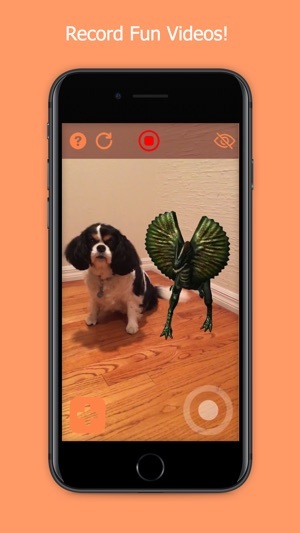 The app is perfect for creating fun videos of dinosaurs in your everyday life. Impress your friends with the videos and pictures you create! You can place the dinosaurs on any flat surface, and scale them to be any size. Want a life sized Tyrannosaurus Rex to walk around your backyard? Check. Want a mini Triceratops to chase your dog around the house? Check. The only limit is your imagination. 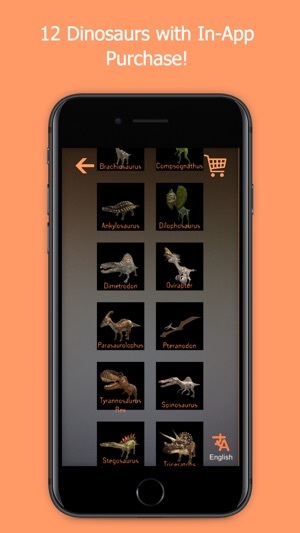 There are a total of 12 dinosaurs currently available through in-app purchase. 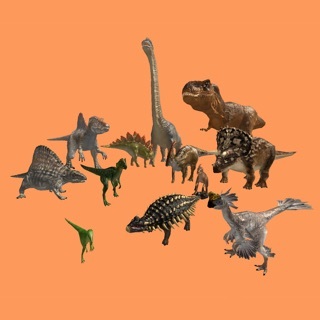 Including: Ankylosaurus, Dilophosaurus, Dimetrodon, Oviraptor, Parasaurolophus, Pteranodon, Tyrannosaurus Rex, Spinosaurus, Stegosaurus, and Triceratops. Both Compsognathus and Brachiosaurus are available for free! There is an easy to use video recorder built right into the app. Record videos and share across any platform you choose. More dinosaurs are coming soon! I downloaded the app on my new iPhone 8plus during a post-surgery stay at my daughter’s house. I was really not expecting much but thought it might provide some entertainment for my 2 grandchildren, ages 11 and 9. My grandson is 9, has Down Syndrome and has been obsessed with with dinosaurs for almost literally all his life. I thought I would not get my phone back! The shrieking and hysterical laughing between the two kids never ended! I am the coolest grandma on the planet now! The improvement I could make would be to get another new iPhone so they each could have one! So much fun! Just over the top! My son, whose education and employment is in graphics and digital arts, showed me how to make a movie with one of the dinosaurs on my plate at Waffle House last night and I can’t wait to spring this on the grandkids soon! I’m getting all the AR bells and whistles the app offers! So awesome! I don’t care about the glitchy noise in the videos! 4. The Dino’s neck will jerk backward as soon as I put my fingers on the screen. 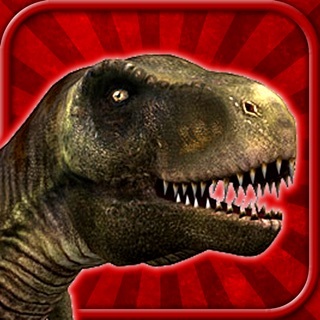 Full access to all Dinosaurs!